You'll be £12.00 closer to your next £10.00 credit when you purchase Return Flights - In War and Peace. What's this? Order within the next 4 hours, 25 minutes to get your order processed the next working day! He converted to heavy bombers and was posted to 12 Squadron at Wickenby flying Lancasters in June 1943. On 3 July he made his first trip to Germany, to Gelsenkirchen. After he had flown 28 operations he was promoted to Squadron Leader as a Flight Commander at 1656 HCU at Lindholme. He was next posted to 625 Squadron as a flight Commander on 12 May 1944. It was a two flight Lancaster Squadron. The last of his 50 bomber operations was to Calais, the town to which he made his first operational flight in the Hector in 1940. This is one of many WW2 'flying memoirs' books currently in circulation and covers the author's career through Cranwell, CFS instructional duties, tours on 12 sqn and 625 Sqn (Lancasters) before leaving the RAF post-war to become a pilot with BOAC. What makes it a bit different is that he was one of the very few pilots to see active service over France in the 1940s flying the somewhat inadequate Hawker Hector open cockpit bi-plane on Army co-operation tasks. This is a very readable memoir, telling a fascinating story and provides an interesting view of life in Bomber Command, with a different feel to memoirs set earlier in the war. Another useful account that brings a human background to RAF history. Not many biographies touch on operational flying in Hectors! The author has interesting tales to tell. This book merits a read. In modern times it is hard to find a completely accurate and truthful resource on most aspects of the second world war however this book is pleasant exception. 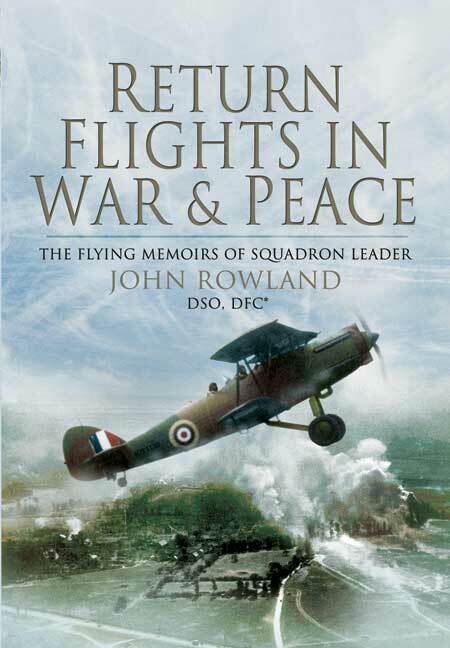 Return Flights In War & Peace encompasses the memoirs of John Rowland, squadron leader, airline pilot and hero. The book covers everything from his first flight with the RAF Volunteer Reserve on 1 October 1938 to his promotion to Squadron Leader as Flight Commander at 1656 HCU at Lindholme. Through direct and detailed prose, the memoirs also divulge information on Rowland's first tour in 12 Squadron and Crossing Africa ultimately relating to the reader what it felt like to captain 48 varied bombing missions. At 91 years of age, John Rowland is still fighting on and it is this fact that makes the book all the more significant.